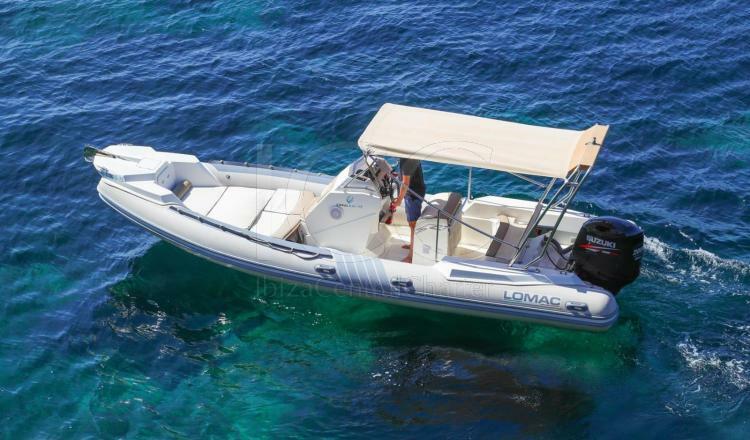 The new Lomac 710 IN keeps the main features of the Lomac In semirigid range intact and is one of the finest models in the range of the italian shipyard. 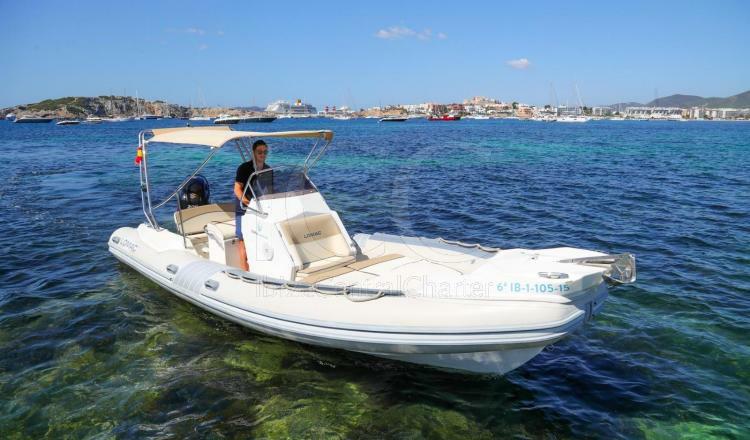 The motorboat Lomac 710 IN offers you the independence of being able to sail along the Mediterranean sea of Ibiza without skipper, as long as possess your navigation license. 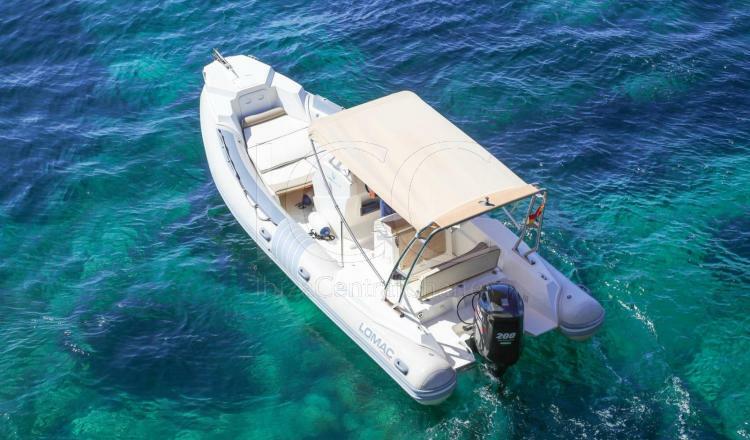 The Lomac 710 IN esthetic is evidently own of the range Lomac, in the stern there is a pre-cockpit conditioned with a transformable sofa in solarium and conditioned with two swim platforms, in one of them you will find a stairs to make the access to the sea easier. 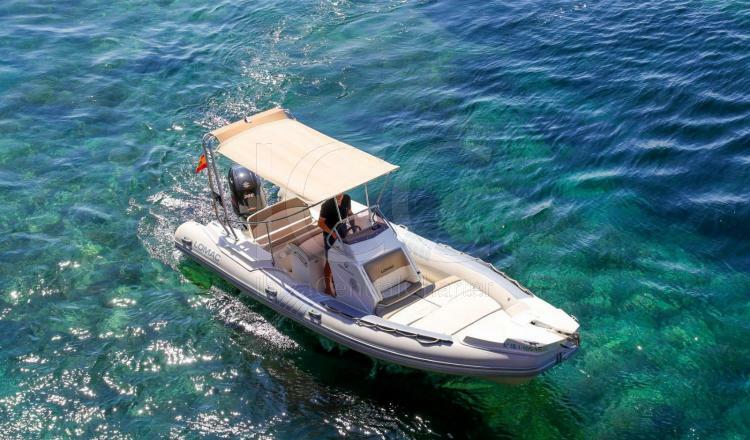 In case it encourages in turning into pilot of this fantastic motorboat it will realize that Lomac has placed a central double seat of bolster type without support for pilot and a companion, besides a handrail on a practical folding table. Initially we would classify the Lomac 710 IN as a familiar semi-rigid, but this model possesses sports performances what it will make you enjoy undoubtedly of your day as pilot. - Just available during days, not possible sleep on board.